We spent a whole day on Cape Cod and barely scratched the surface of things to do and see. When people enthuse over the Cape it is easy to see why. We loved the scenery and the history. We walked on the bay side, the ocean side and in two marshes as well as two woodland trails. Just a great day. The light house was a popular stop and I was fortunate to get this shot with no crowds of people. 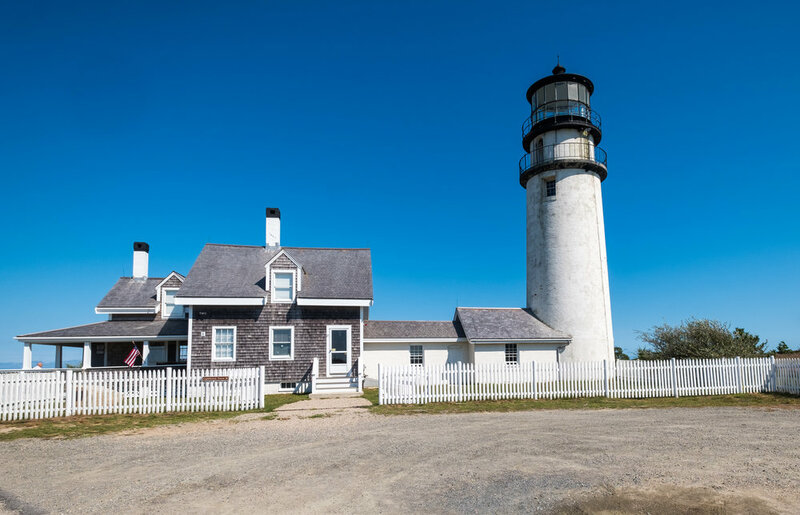 It seems to have two names but the more common now is Cape Cod Lighthouse. Not a new park for us but our remembrance from 1972 was more than faded. We must return. This was park #11 in our sequence for this trip.